What's more special than the birth of a new baby? 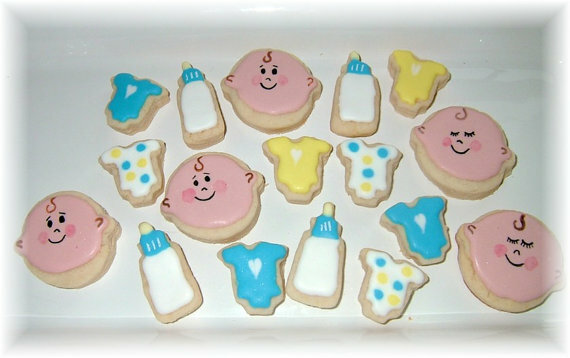 Congratulate new parents or throw a super shower with these delicious soft cookies. Please email for bigger quanities. 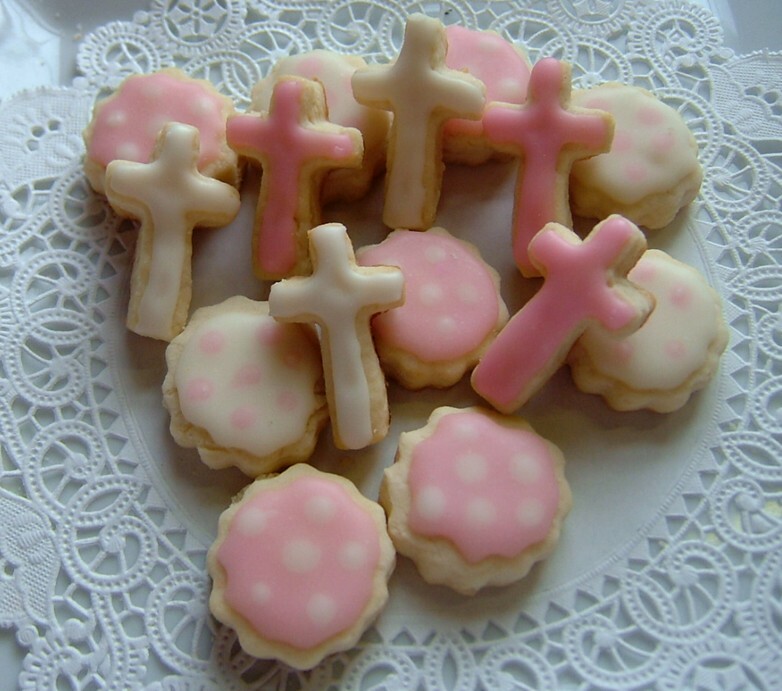 3 dozen assortment of the cute pink and white cross and dots. 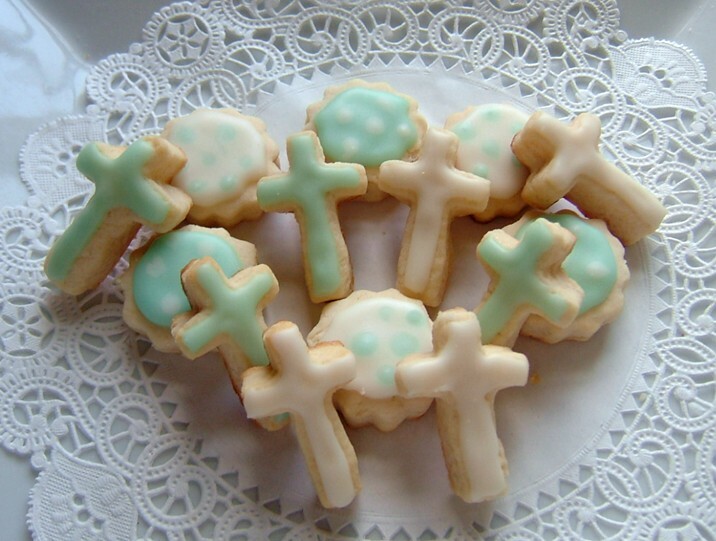 3 dozen assortment of the cute blue and white cross and dots. 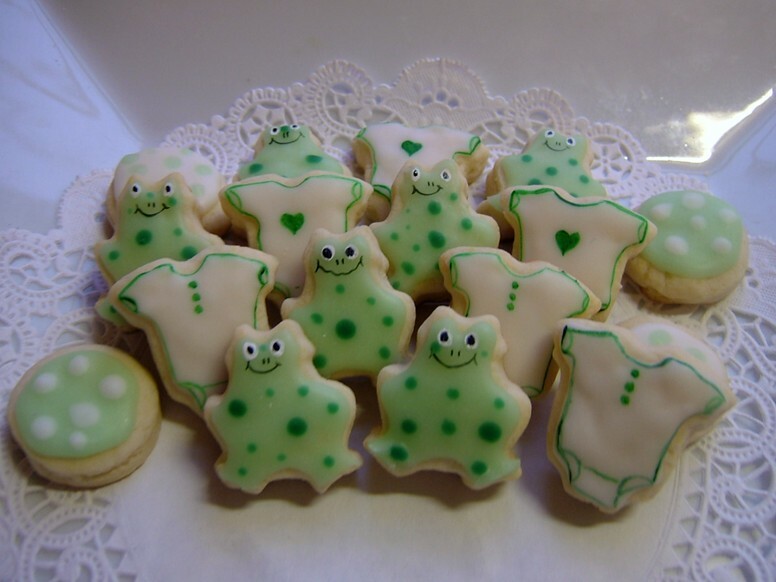 Something different for any baby shower or baby gift. 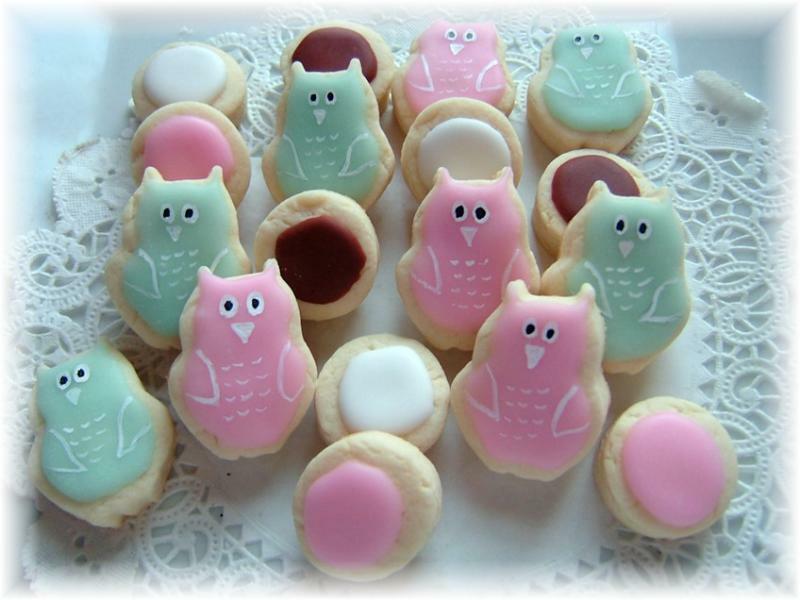 Adorable set of petite owl cookies and dots. 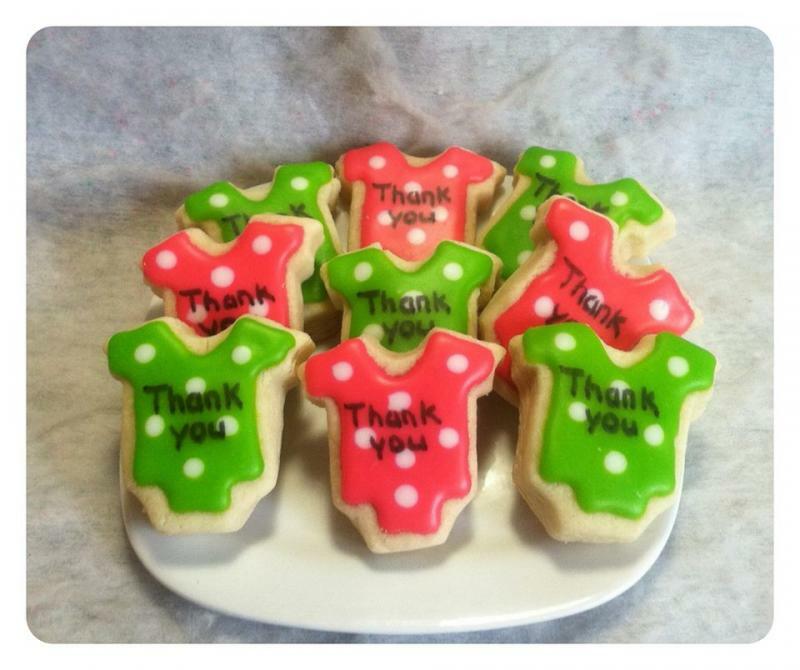 If not specified, you will receive 3 dozen of the collection shown. You can specify all blues or pinks with white dots if you want. 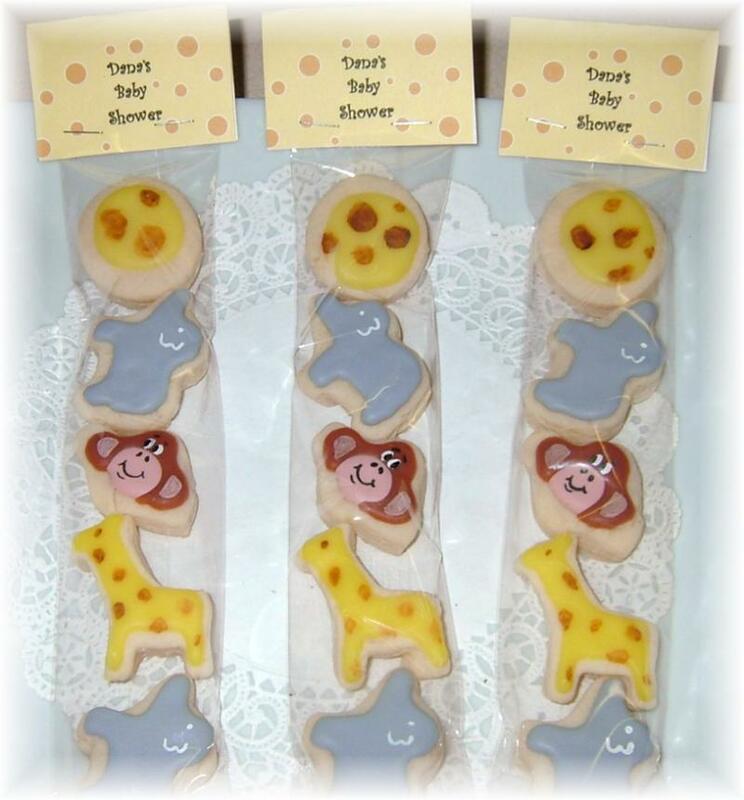 Make your jungle theme baby shower so very special with these favor bags. 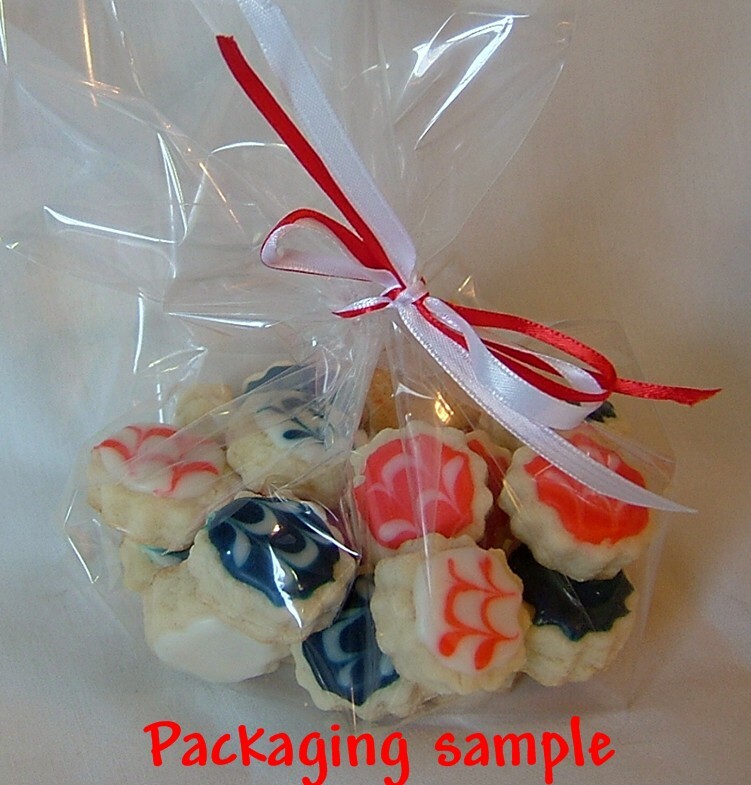 5 cookies per bag, top can be personalized with name. 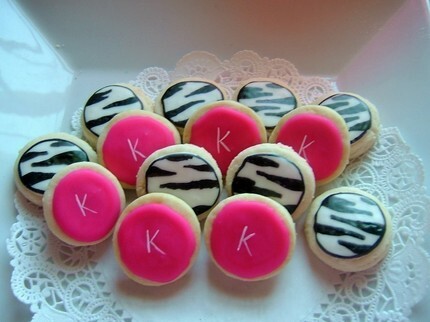 This fun and cute collection can be done in pink or blue. Other colors available if requested. 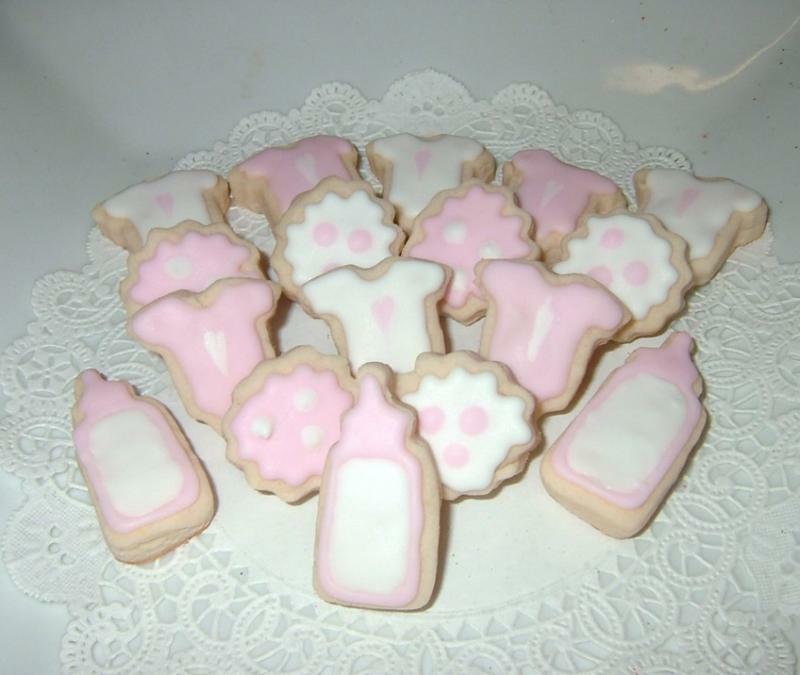 Fun and cute, these baby face cookies can be done in pinks, blues, greens or whatever your shower them is. Face cookies are approx. 2+ inches, others are petite bite size. But all delicious. 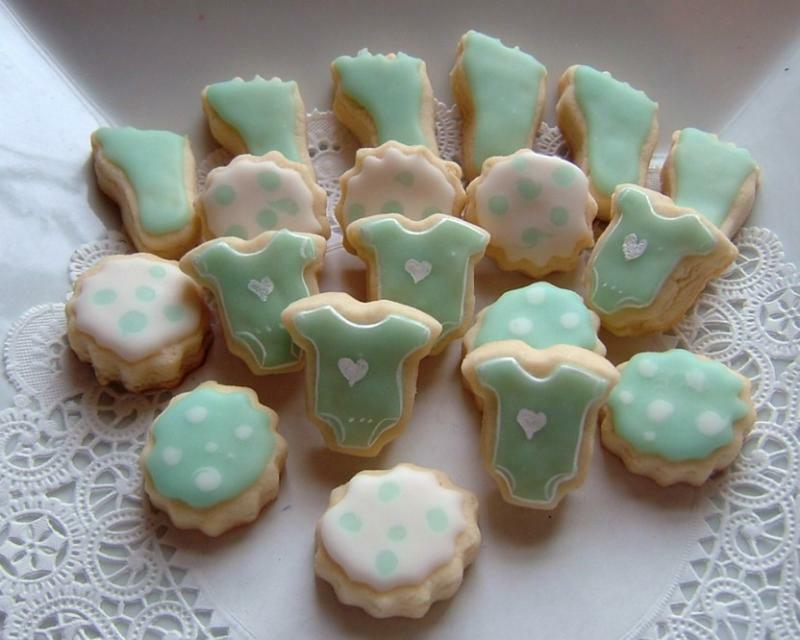 This collections features all medium size baby onsies-any two colors you'd like.